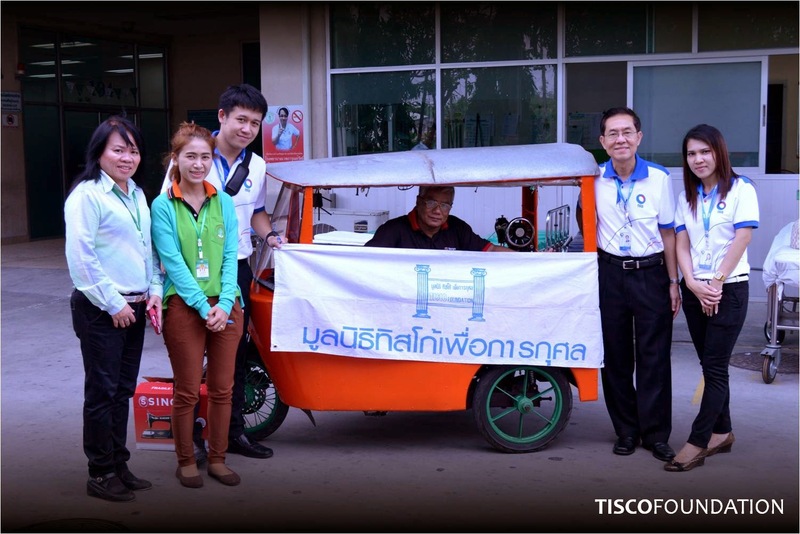 On April 2, 2014, TISCO Foundation team donated a new sewing machine to Payap Panteh, who are physically challenged for having only upper torso. 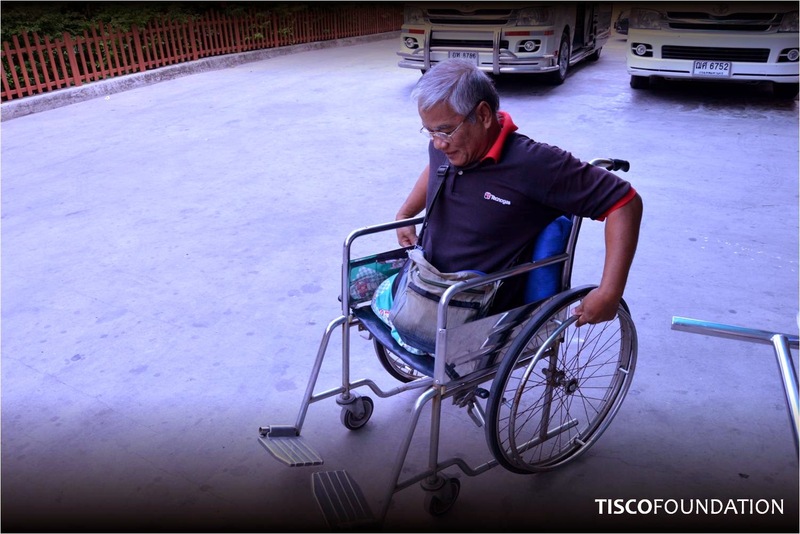 Payap lost both of his legs almost 30 years ago from a severe car accident. He became self-dependent by fixing clothes for small money since he and his wife separated, and his 3 children started their own family. He modified a three-wheeled motorcycle to a small mobile office with a sewing machine installed so he could move around to meet his customers. In 2013, the foundation donated a gel seating pad that helped reduce bedsores and kept his body more balance when sitting. When his physical condition is better, the foundation continues to support his occupation by replacing an old sewing machine with a new one. 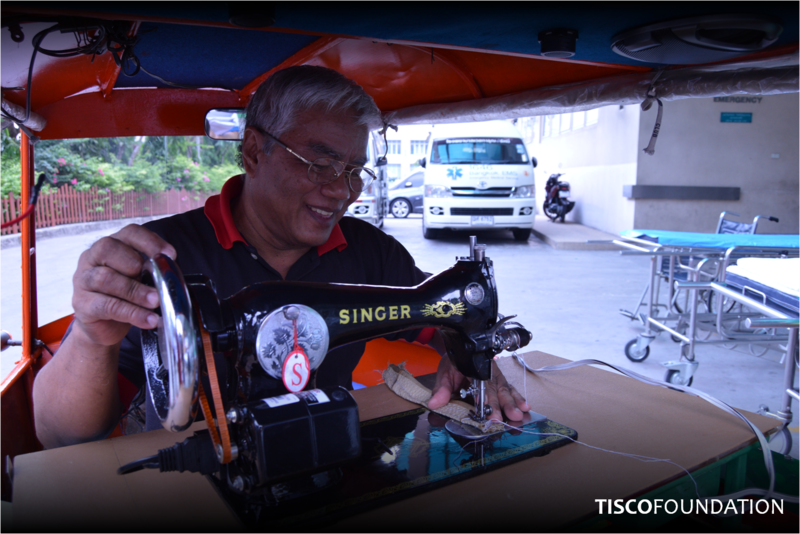 Payap modified the sewing machine to fit with his physical condition, and installed it on his three-wheeled motorcycle office. This is a part of TISCO Foundation's start-up program objective – to provide opportunities to disadvantaged people to have an occupation and generate incomes for themselves.